New route for 2018. This year we eliminated the 7 Devils portion of the route and maximized the ocean views. Run the blacktop through Bastendorff Beach and Sunset Bay State Park. Experience the view from Shore Arcres State Park and on to a turnaround at Cape Arago point often described as “God’s Country.” Cape Arago has the largest herds of seals and sea lions on the Oregon Coast as well as dramatic sweeping views. 5.5 Hour limit. 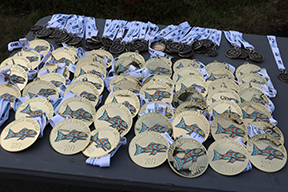 If you are only half crazy then the Salmon Run Half Marathon is for you. Walkers and runners will enjoy the 13.1-mile course as it winds through breathtaking ocean scenery. 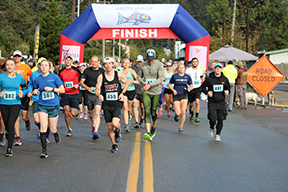 The half marathon is situated in one of the most scenic areas on the Oregon coast, just two miles in runners will pass through the beautiful Bastendorff Beach. A few miles more runners will find themselves running through Sunset Bay State Park featuring a beautiful sandy beach protected by its famous towering crescent sea cliffs. The out and back run turns around at the Cape Arago point also known as “God’s Country” Cape Arago has the largest haul-out of seals and sea lions on the Oregon Coast as well as magnificent vantage points. As you wipe the sweat from your brow make sure you take a moment to soak in the beautiful scenery and listen for the sea lions bark. They will be cheering you on. A 10K run has been described as the runner’s perfect distance. 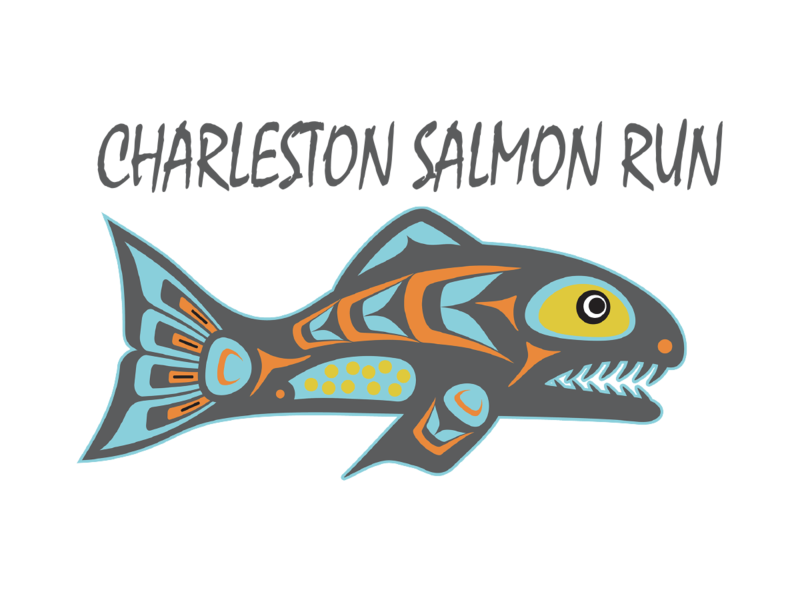 The Salmon Run has a 10K included for that very reason! Runners will pass through the beautiful Bastendorff Beach. 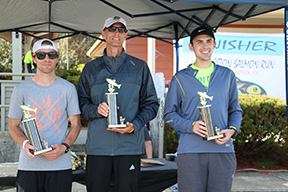 A few miles more runners will find themselves running through Sunset Bay State Park featuring a beautiful sandy beach protected by its famous towering crescent sea cliffs. This is the event for all ages! Come enjoy the festivities and participate in the 1 mile Fun Crab Walk. 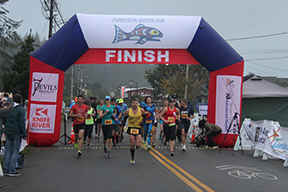 Walkers will stroll on though the historic Charleston Marina, home to one of the largest commercial fishing fleets in the state of Oregon. A working dock and beautiful views all rolled into on.